What Makes a Post Freshly Press-able: The Rise of eBooks—Evil or Essential? First of all, Clare’s writing is solid, the humor is sharp, and her voice is authoritative. Good, confident writing goes a long way. But what else stands out? The post title poses a question. The title “The Rise of eBooks: Evil or Essential?” is just as attention-grabbing. If you’re presenting two sides of a debate, whether it’s a controversial political issue or a lighthearted discussion on chocolate versus vanilla, pique your reader’s interest immediately in the title. Be bold and brief: use this headline to reveal what your discussion will be about. In this case, since many people already have an opinion on the topic of eBooks (and the value of printed books), asking a simple yet provocative question is a surefire way to lure a reader. This type of title isn’t appropriate for all posts, but it can be effective when you’re weighing the pros and cons of something, or asking your reader to consider different perspectives. A clean, easy-to-follow format is the simplest way to keep a reader happy and engaged with your text until the end. Clare presents the disadvantages and advantages of eBooks in a series of short, snappy paragraphs, each with lead-in sentences in bold. As a result, each point she makes is clear. If you’re writing a post like this in which you’re presenting numerous points, avoid long paragraphs that don’t allow your readers to breathe. Consider using a bullet or numbered list to keep your post focused and succinct. Or, experiment with the use of bold, italicized, and underlined fonts to draw attention to specific parts of your discussion. The author allows you to decide for yourself. What do you think? 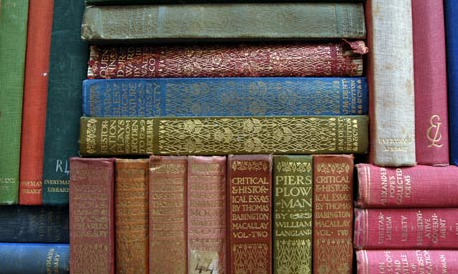 Are you a total convert to e-readers or do you remain devoted to the humble paperback? As you can see, you can engage your readers when you give them the space to express their opinions. What did you think of this Freshly Pressed pick? Do you want to read more from this blogger? For more on our Freshly Pressed content, check out last week’s Freshly Press-able post, read our roundup of Editors’ Picks for August, or read So You Want to Be Freshly Pressed. I’m SO grateful this one made the “highlight reel,” so to speak. I had missed it…and here I am, in the process of turning a compilation of my blog posts into an ebook! Thank you. Heading over to read this NOW! Please keep these posts coming … they give so much about blogging and writing. The aha! with this one for me – “Clare’s take is opinionated but extremely balanced: she presents both sides—as well as a “neutral point” at the end—allowing readers to come to their own conclusions” That is a tough balance to maintain! Agreed! It’s often tough to maintain that neutrality. Here, Clare does it well. by the idea, even before trying them! So practical, not expensive, not heavy, not bulky, etc; an ebook is a friend you can take with you everywhere, being comfortable and light. My love for printed books persists as for precious editions and special volumes, and I must confess that I’m moved when I receive books (the old-style ones) for Christmas or for my birthday…and though, I appreciate the new era, being grateful to pertain to it! I think this was a great pick for FP. The post definitely drew me in with the catchy title! “It helps to understand the characteristics you’re looking for.” Glad this post is helpful to you, although remember that these tips aren’t “rules” or “standards” that everyone must follow. With these weekly posts, we hope to illustrate elements of writing that work, that may be well-received, that may resonate with readers. I have only ever once read an ebook. It was written by a friend and I bought a copy to support his efforts. It was a very good story. I will stick to paper books until they’ve been outlawed for paper consumption. Then I’ll go into black-market paper books and visit the seedy side of town, trading books like drugs, passed from trench coat to messenger bag, hidden inside hollowed out lap-top cases, whole novels committed to memory – like in Fahrenheit 451- lest some catastrophe should befall a beloved printed book. Soon we’ll regress, paper made by hand, recycled from other papers no longer legible, entire books hand-printed with meticulous care like scribes of old, bent over writing desks with dribbled candles which hardly produce enough light, eyes strained as each letter is carefully penned. There’s something about a book that transcends the information it contains. There’s a soul that can’t be reproduced in digital form. You can’t smell an ebook. Anything that allows for greater distribution of books to every corner of the globe must be a good thing. Anything that allows for more writers to find their audience must be praised. “There’s something about a book that transcends the information it contains. There’s a soul that can’t be reproduced in digital form.” Well said! Still, I am all for the mass and instant distribution of information and knowledge that this can bring. WOW!!!!!!!!!!! You should be an e-poet. Your words are pure art! Your comment was a refreshing read for a rather monotonous day. Thank you please for your dedication to the craft. Looking forward to reading you again…..
Oh, how many times have I written about e-books on my own blog? we don’t know. how many? Very intriguing post.I shall mull it over in my mind before commenting. Umm, as opposed to where? Thanks for linking to the “The Rise of eBooks: Evil or Essential?.” It was a really interesting and well-written post! Some really solid tips right here, thanks. Chamblee54 has nearly 2000 posts, on a wide variety of subjects. There is a profusion of pictures to go along with the brightly colored text. It is long past time for this blog to be freshly pressed. Generating sufficient interest to arouse a conversation that eventually spills into a healthy debate is really an aspect of blogging that I have longed to develop. The balance it seems to require is quite a delicate one. I’m diving headlong to see what tips I can grab from this post. Thanks much for sharing! ‘Freshly Pressed or Absolute Rejection’ …..arrrrgggghhhhh, what a dilemma!! This focus on running a ‘conditional acceptance contest’ based on the rigid filter of a particular staff clique’s idea stream is childish and unworthy of an audience. Promoting strict guidelines for content acceptability is implied censorship…….something that happens in a classroom when your teacher assumes you’re still half baked and need a lesson. What if someone doesn’t want to be like you….what then? What’s happened to the appreciation of unique states of being and seeking creativity? If WordPress wants every submission to resemble the last, then say as much and we’ll have a circular argument about how we all agree with one another. You people aren’t Canadian are you? State enforced homogeneity is something that we have to deal with here. Class is out. Thank you for your feedback. We’re not running this weekly feature to promote strict guidelines — for this particular post, I selected three elements I thought were strong, but that doesn’t mean, at all, that every post we promote to Freshly Pressed has these three elements. This eBooks post, for example, is very different from the photo essay we featured last week, as well as the gay/Christian piece the week before, and the history of toilet paper post before that. We really want to use this Daily Post feature as a writing resource — and what better way to illustrate solid writing by dissecting it, point by point? I’m reminded of Nieman Storyboard’s Why’s This So Good? series: http://www.niemanstoryboard.org/category/whys-this-so-good/ What better way to improve our writing by reading and discussing good writing? We love the very different voices, perspectives, and styles we come upon on WordPress.com blogs. If you have suggestions for bloggers we should consider, feel free to recommend. In a nutshell: ebooks ARE necessary. And evil. It was “balanced” because its writer didn’t know about, hadn’t thought about, or chose to ignore the most important reasons to use e-books. Put the best argument you can make for print books on one side and subtract the major points in favor of e-books from the other side, and you’ve got a “balanced” argument. So what? “Balance” in terms of fairness is good journalism. “Balance” that levels the playing field by distorting reality is a waste of a reader’s time. I like to read about many topics, but I want the writers of those posts to be well-informed on their subject matter. For Freshly Pressed, following a formula and being politically correct are the only criteria. What’s “fresh” about the standard PC media take on everything? What’s “fresh” about formulaic writing? Why not make Freshly Pressed worth reading? Hey there — I’m sorry you found this post to be stale and formulaic — we know that not everyone will agree with our selections. That’s natural. That said, feel free to leave *your* recommendations for bold, fresh takes on topics. We’d love to check them out. Hmmm. Allow me to disagree a little. “The Rise of eBooks” is a barely OK post, IMO. The first sentence would not get past any newspaper copy desk. “The eBook debate continues to rage incessantly . . . ” Hyperbole! It’s almost the opposite of the truth. Most serious readers are not worked up about digital books vs. paper books. We might prefer one or the other, but we are pleased to have both. The blogger is an avid reader and a good writer, but she is not “authoritative” on the subject of eBooks. She doesn’t even have an eReader yet. eBooks and Indie publishing have been kicking around the blogosphere for well over a year. Hundreds, probably thousands, of interesting and informative posts have been written by bloggers who know the subject in depth. I don’t mean to sound harsh. WordPress has democratized writing. Everyone can write and publish. But it doesn’t advance the cause to pretend that ordinary writing is excellent. “Freshly Pressed” is valuable for culling and presenting a variety of interesting posts. It’s a thankless job and it inevitably exposes the gatekeeper to second-guessing. Discussions about “What Makes a Post Freshly Press-Able” can be a learning experience for all. Write on! John — thanks so much for your thoughtful comment (and for respectfully disagreeing!). “The first sentence would not get past any newspaper copy desk.” I like this criticism. Ultimately, though, we’re dissecting and discussing blogs here at The Daily Post, not newspapers. I enjoy reading posts by people who are exceptionally knowledgeable about a subject — for instance, I’ve been reading posts on the iPhone 5 today by seasoned tech journalists. And those posts are great. But I’ve also read posts from folks without such credentials — and those pieces are quite distinct in perspective, style, and angle. Perhaps it’s a different mode of writing. And I think, ultimately, there’s room for all modes. Agree completely. No blogger should feel they need to be an expert. Now that I think about it, that’s what makes reading blogs so appealing. Everyone from expert to novice has equal access to the platform. Often, the novice raises a point or asks a question that’s been overlooked by the expert! I love reading immensely but can’t imagine reading a whole book on a device….it’s fine for short articles/stories/ etc. The good old book is a break from the computer because I don’t see myself living in front of my comp at all times be it for work or reading for leisure. I used to fee the same way, and still print out longer articles on the computer to read. 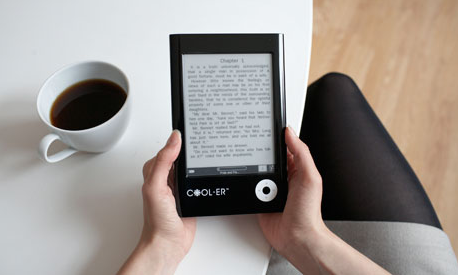 However having purchased an e-reader, (Kindle in my case,) my opinion has changed. I have found that the technology used, which is different than that of a CRT or LCD display, gives a very paper like feel to reading. I still love my paper books, and I still collect them, especially older history books, but I find about half of my reading is now on the Kindle. Other benefits? As someone already observed it is light and easy to carry several books with you. Working on the road, that is a big plus, if I have a little downtime it’s right there in my briefcase. My wife ( http://fromthepenofareadywriter.wordpress.com/ ) and I can read a book together and discuss what we are reading. Also, I will not have to wonder about needing to reinforce my floors due to my extensive collection of Kindles! Thank you! Just wrote a post on “The Warrior Gene” vs. Ritalin, a very controversial subject, and her post was a huge help and this article. Thanks WP, and thank you to the author! The feel of a book will be something that I will never let go of. There is just something about holding 800 pieces of paper that contain the world and lives of millions of others, and most importantly, the person that you are reading about. It feels more intimate to me to hold the warm paper, instead of the cold electronic reader. I do have an issue with the whole “Being balanced” point. A blog is an outlet not only for “balanced” and “neutral” discussion. I’d think that a blog is for people who could also formulate an opinion. Not talking about being a preacher online, but when I write, I speak my mind. I would LOVE to hear different and contrasting views and have a discussion around it (maybe even change my point of view as a result), but if I ever write something that is all pros and cons without saying what I (the person who raised this topic for discussion) think then why did I bother? And as for e-books – save the trees 🙂 Asimov’s words are made from the exact same letters on a digital device as they were on the paper. “A blog is an outlet not only for ‘balanced’ and ‘neutral’ discussion.” +1. I totally agree. This eBooks post is just one example of a way we can write a post and approach a topic. There is also great value in reading something that informs, inspires, and makes us laugh even if it doesn’t initiate a lot of discussion. And when you’re starting a new blog, the likelihood of having a large number of people see it isn’t great. When 2 people visit my newer blog and one comments, I figure that’s a 50% response rate. Pretty stellar for me at this point. great advice. I will keep on working on great, easy to read content, with a show-stopping title. I can see the need for the ebook, however in my experience I never appreciated each page and ai my reading quality decreased. Do for that I much prefer the paperbacks. Also for the money you pay I would like something tangible especially when the prices of the digital versions do not differ that much from their paper cousins. Title caught my eye! Thats kind of what I was focused on when i made my name and name of my blog and so far so good!